Dream. Dress. Play. : Make It Monday! 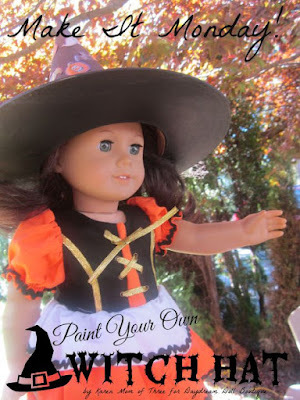 Paint Your Own Witch Hat! Make It Monday! 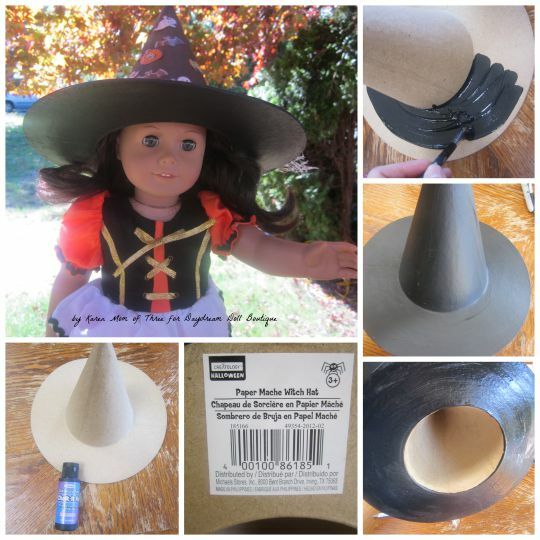 Paint Your Own Witch Hat! 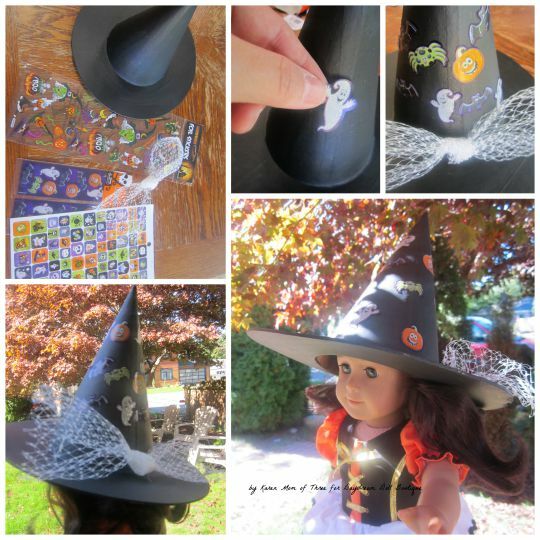 Step 1-Assemble all your supplies and remove the sticker from the bottom of the hat. Step 2- Paint the outside of your hat from brim to tip and allow it to dry. Step 3- Turn your hat over and paint the bottom of the hat and touch up any patches that need it on the hat. Step 4- Once your hat is dry add your Halloween stickers and if you would like a bow. 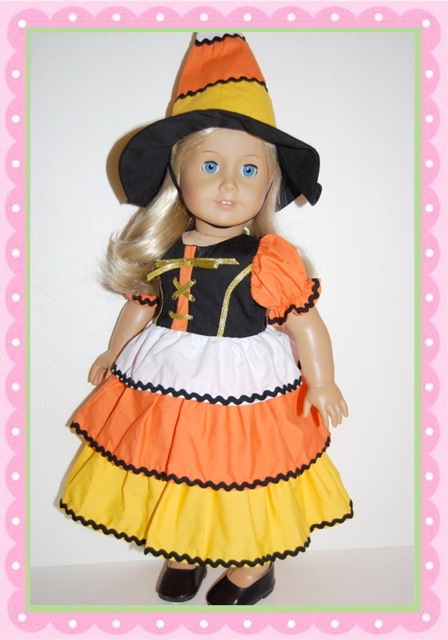 Your hat is now ready for your doll to wear! My Ruthie is wearing the Candy Corn Witch Costume that is available in the Daydream Doll Boutique Store by clicking here. Thank you for joining us for our Make It Monday Craft! We hope you enjoy making your own! Our Fall Giveaway is here ! Our Adorable Apron Sets are on Jane ! Make It Monday! No Sew Fall Apron!